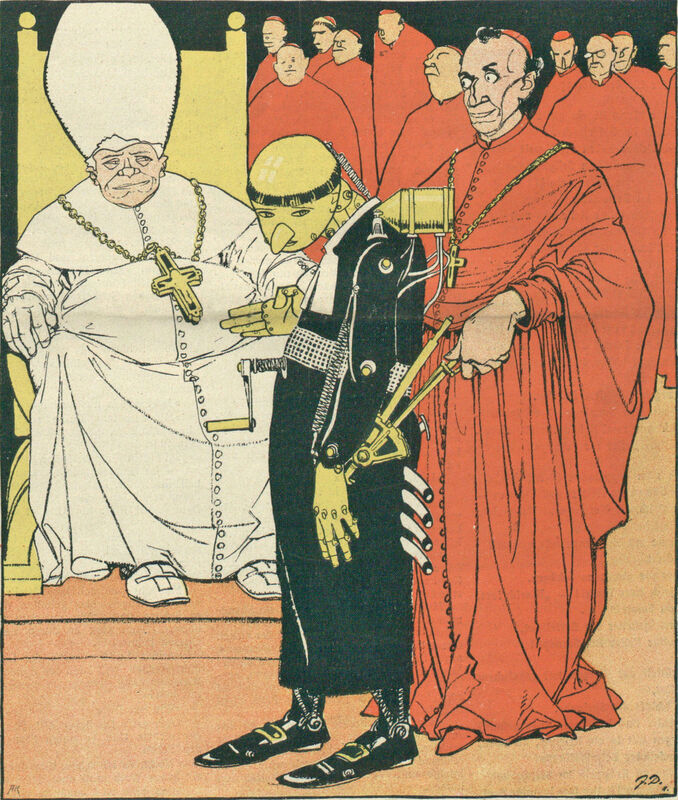 "Our new invention, the automatic pastor." 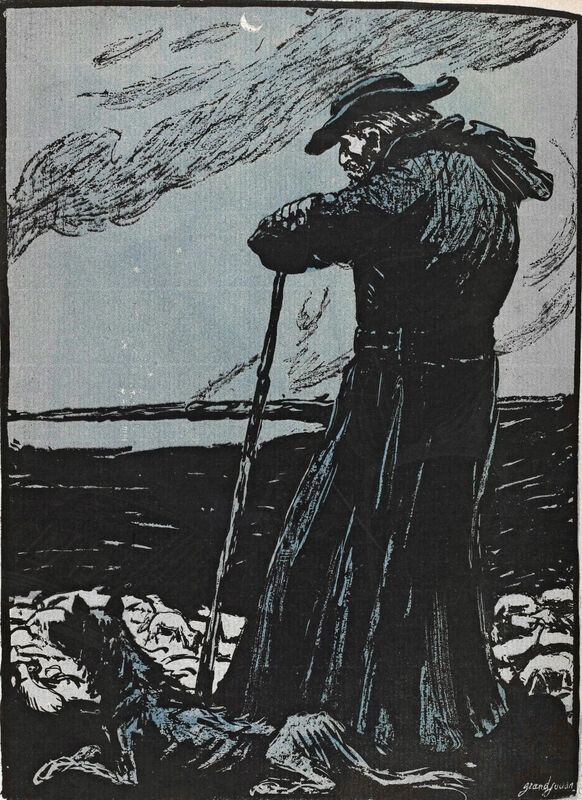 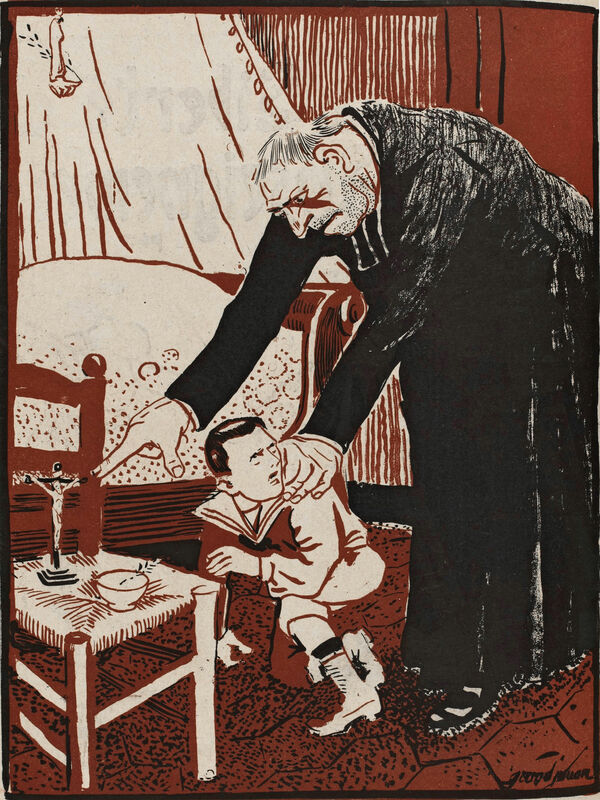 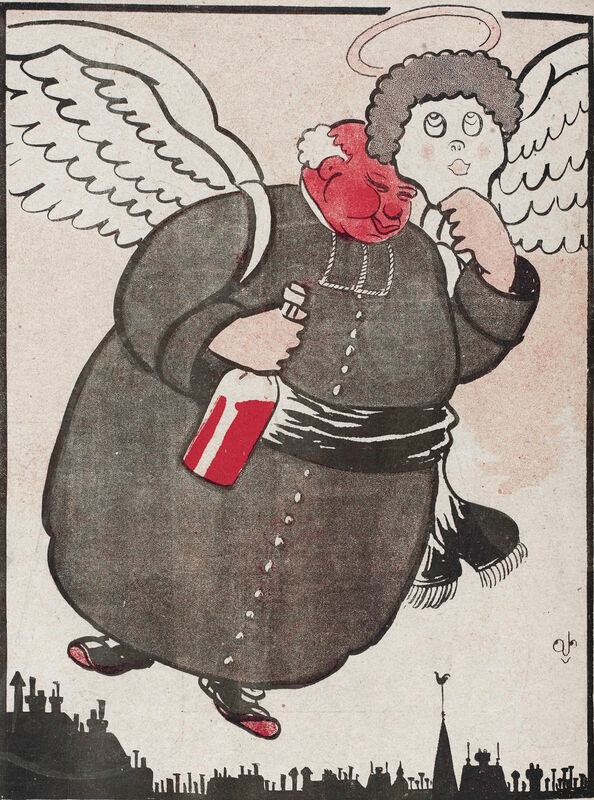 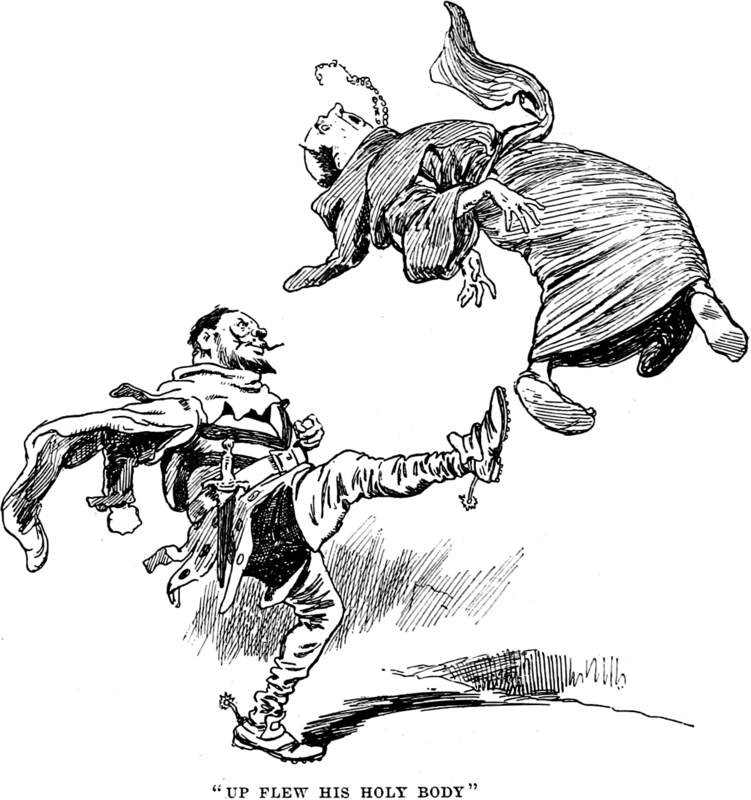 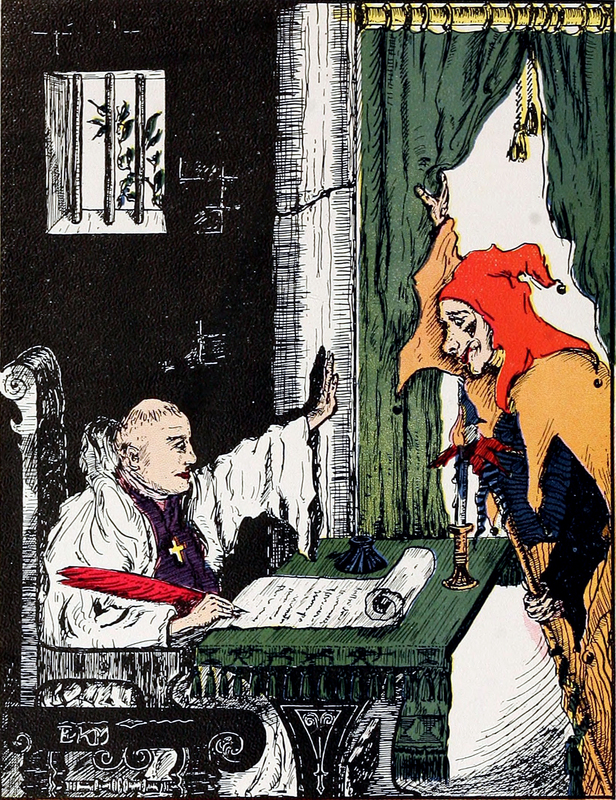 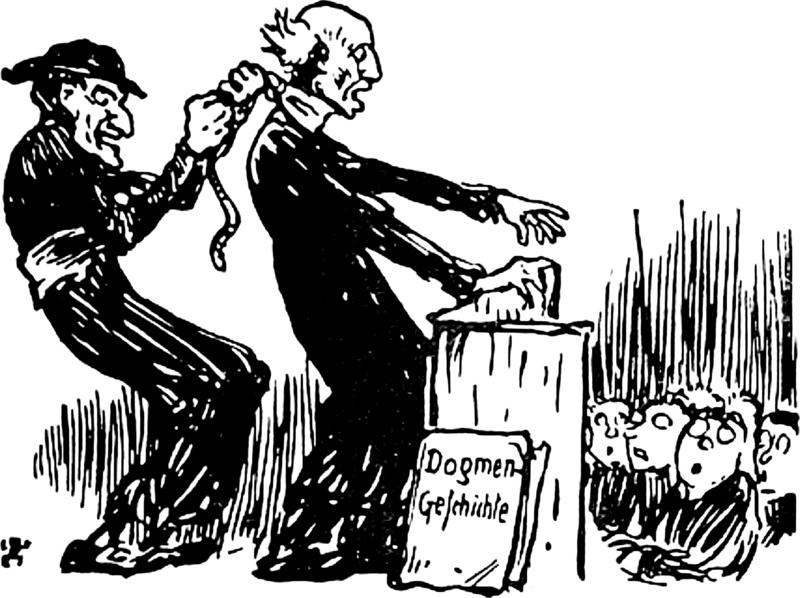 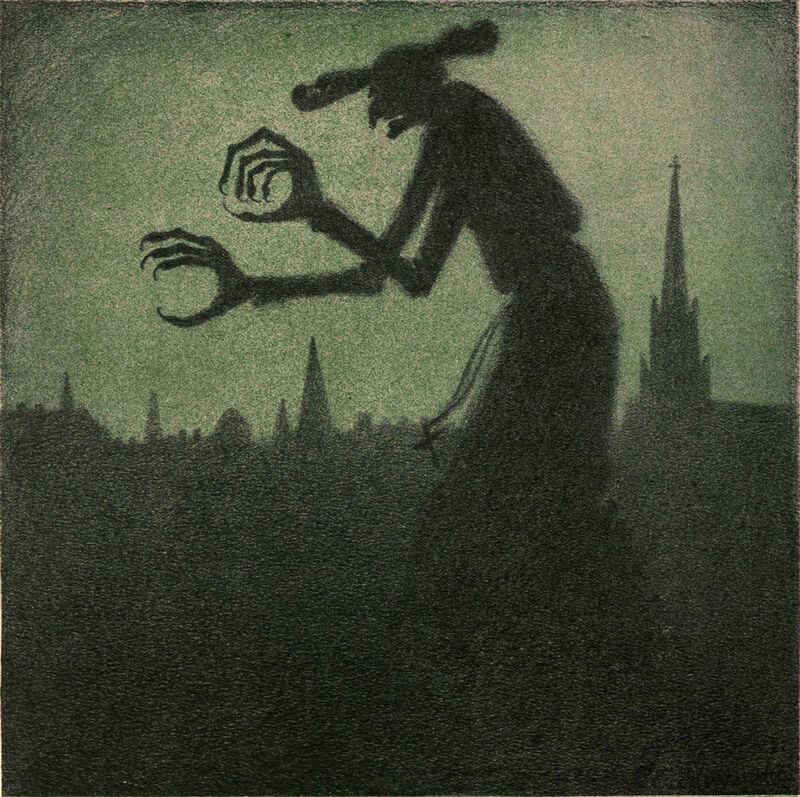 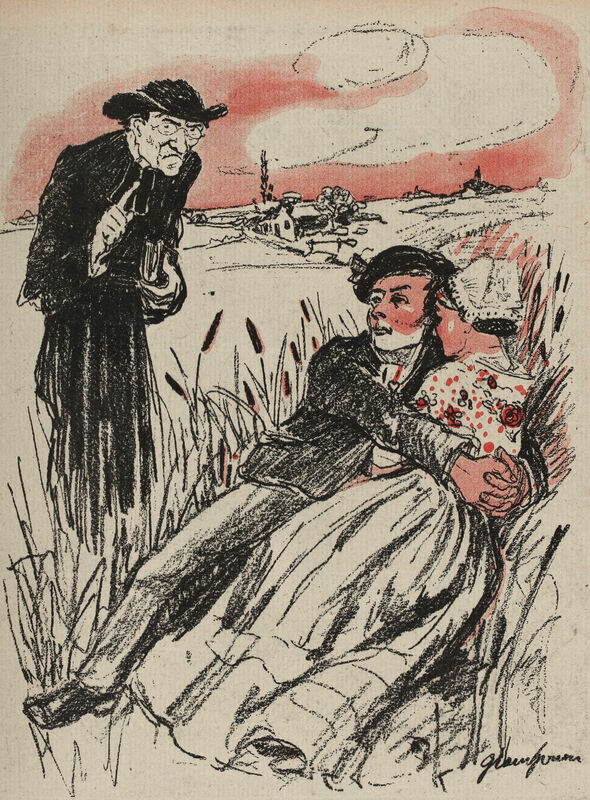 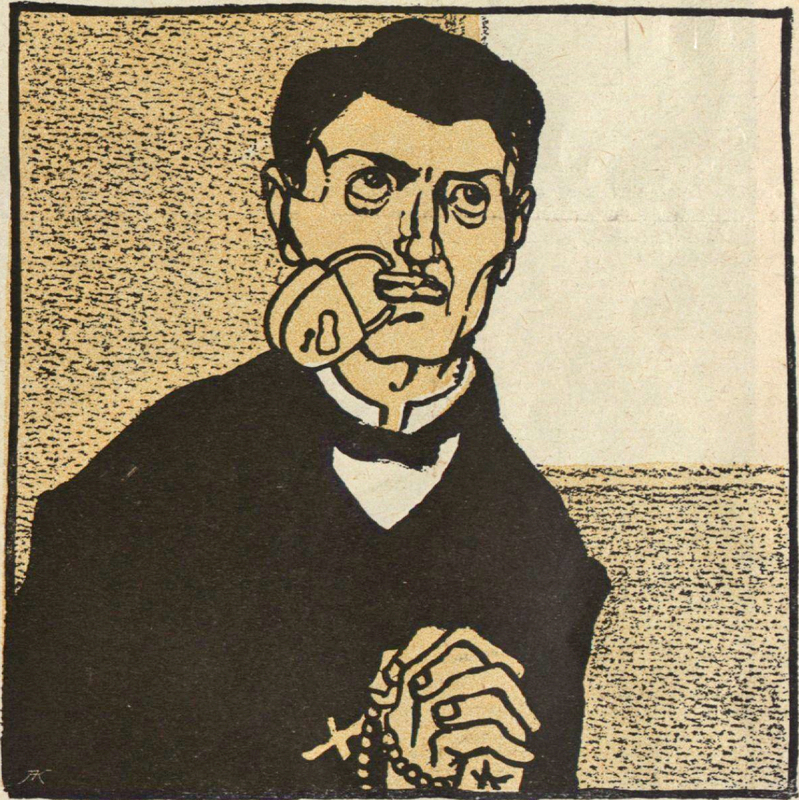 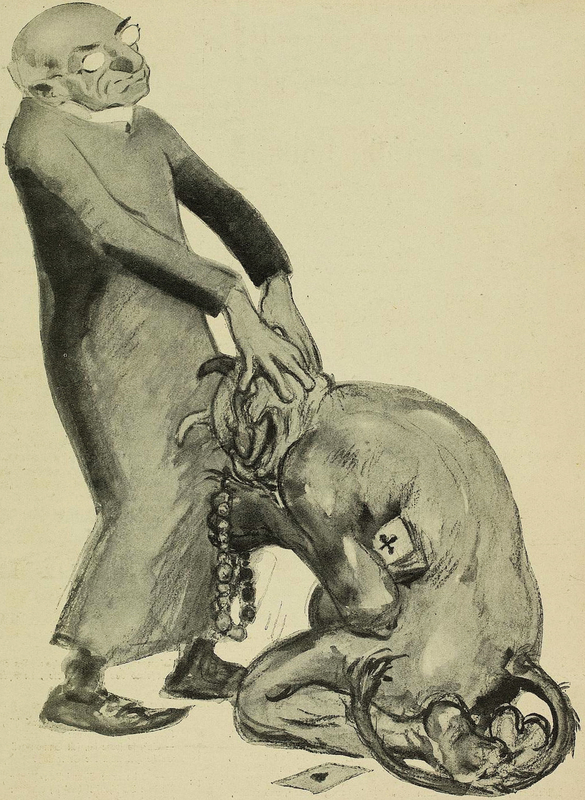 From Die Muskete, 1911. 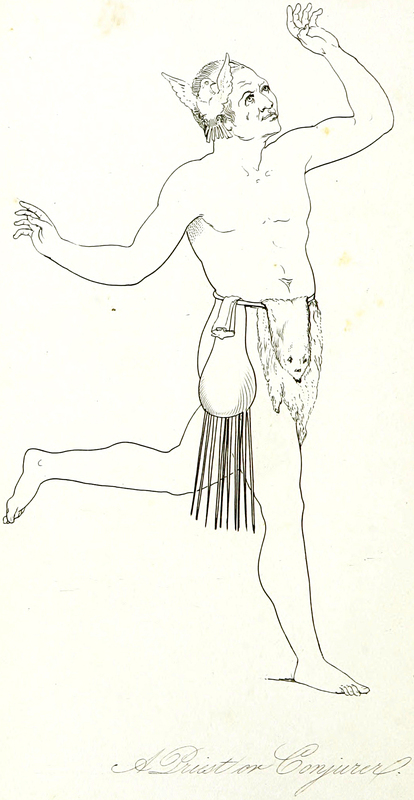 "A priest or conjurer" from Graphic Sketches from Old and Authentic Works, Illustrating the Costume, Habits and Character of the Aborigines of America, 1841. 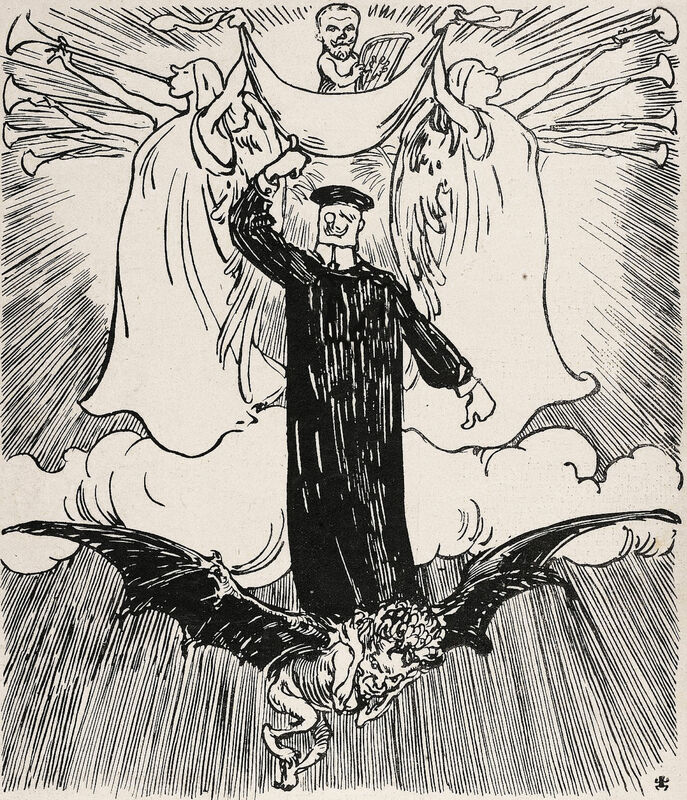 From Stock Designs of Book Division Inserts, 1922. 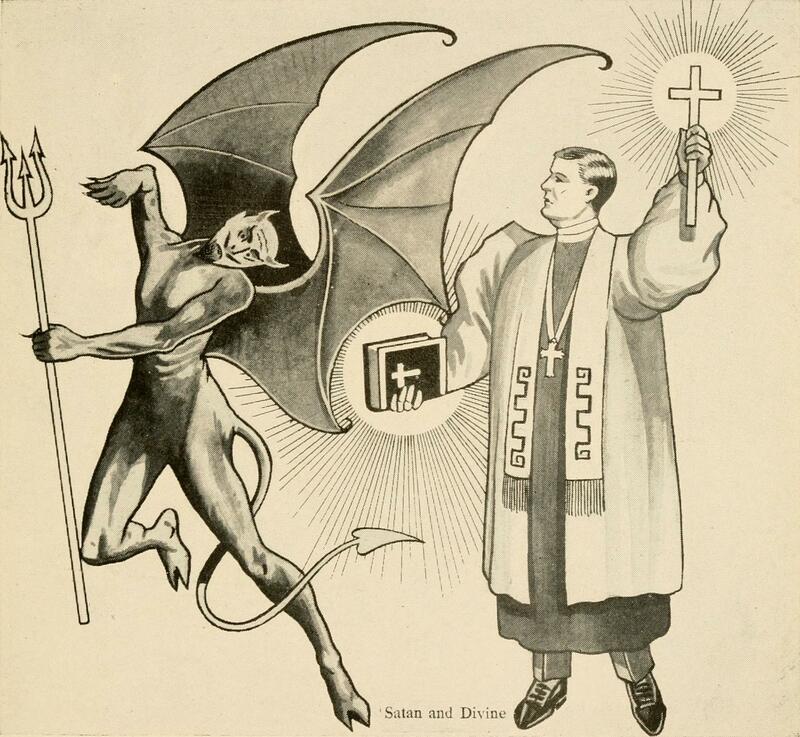 "Satan and Divine." 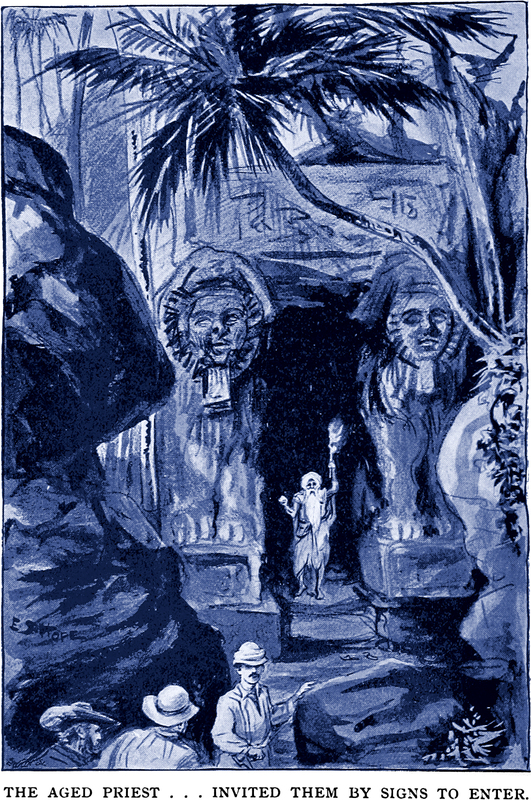 From The Living Monument by N. Svensen, 1919. 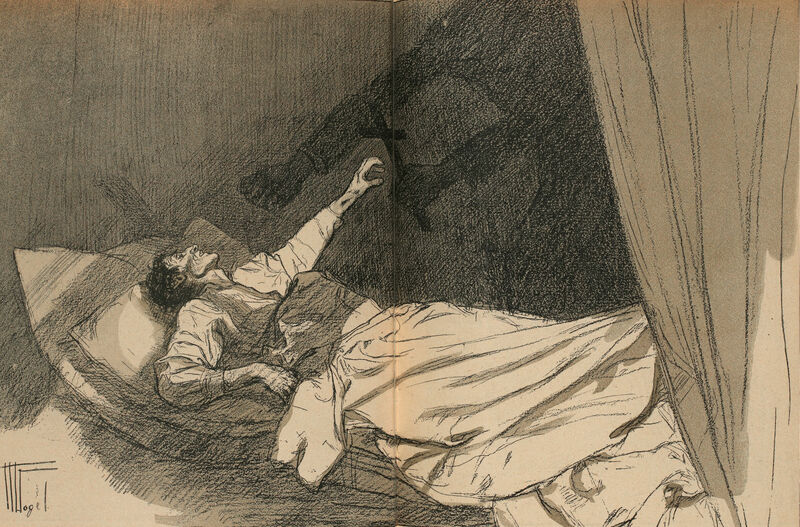 Here are the vintage images we've tagged "good and evil."